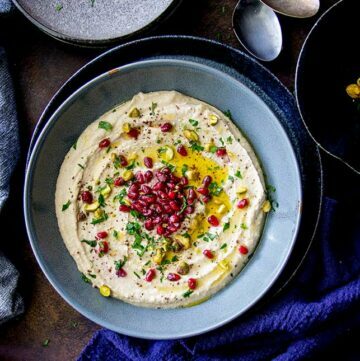 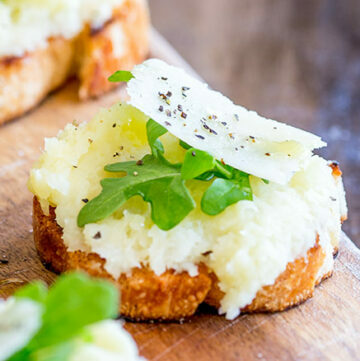 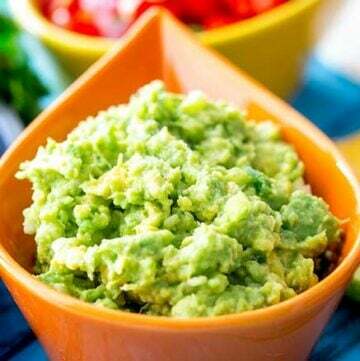 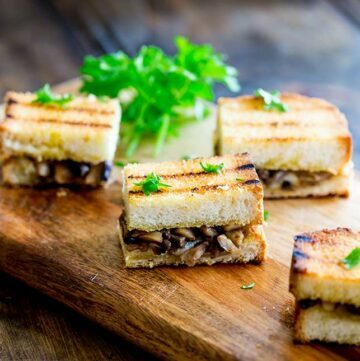 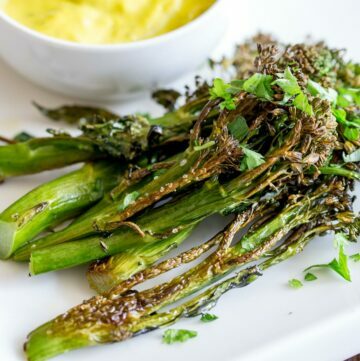 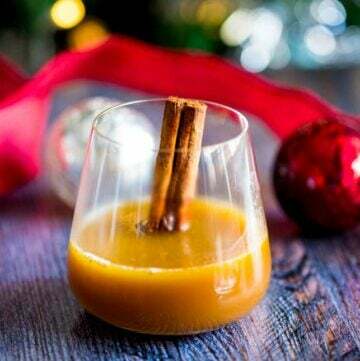 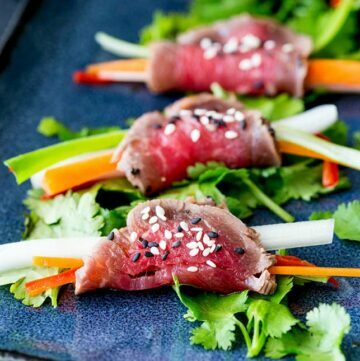 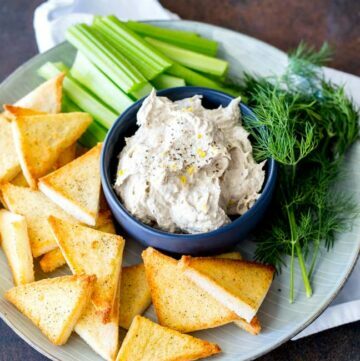 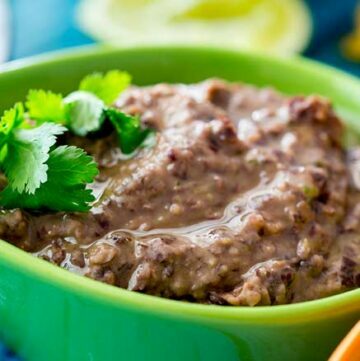 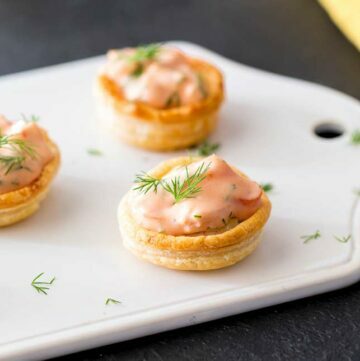 Ring in the New year with delicious party appetizers and delicious cocktails. 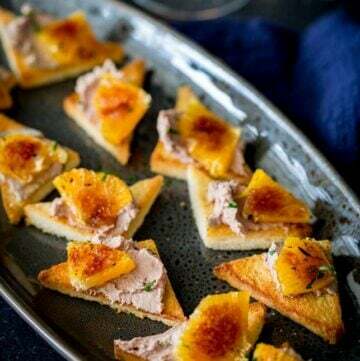 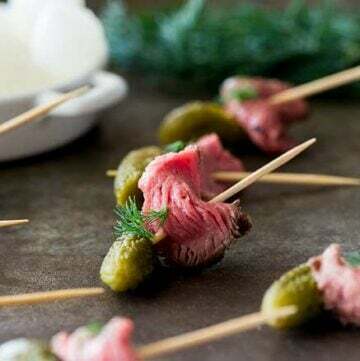 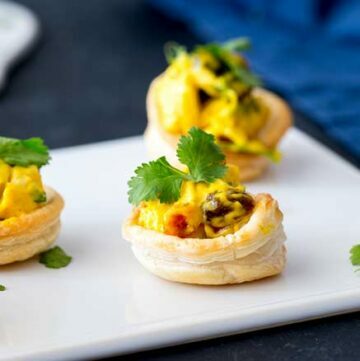 Possibly my favorite category, this collection of small bites and party nibbles is full of easy, elegant and down right delicious snacks, hors d'oeuvres and canapés. 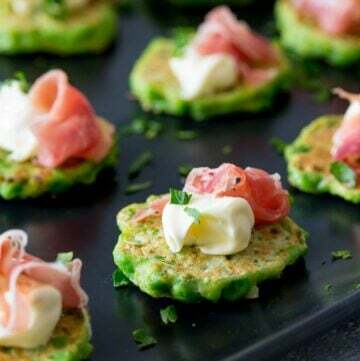 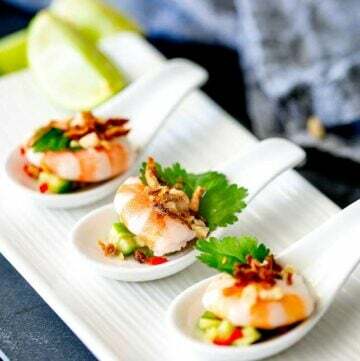 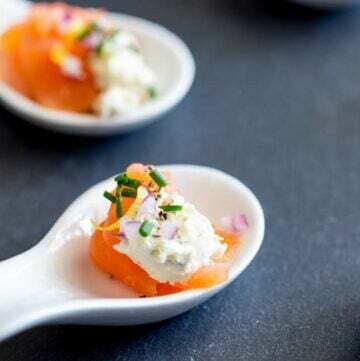 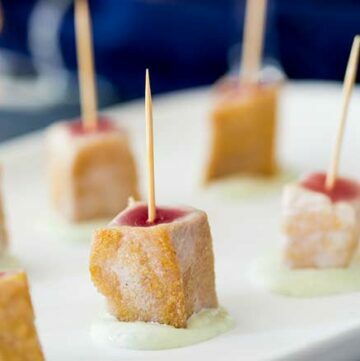 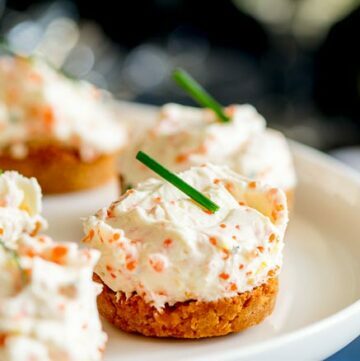 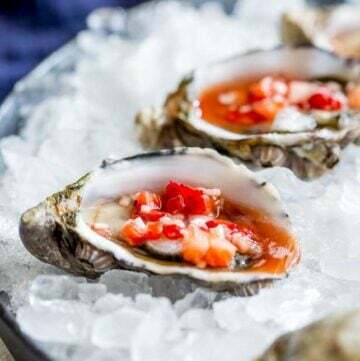 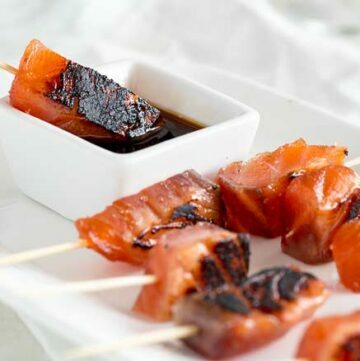 The Brown Sugar Cured Salmon Skewers are so easy to make yet will impress your guests, the same goes for these Shrimp and Cucumber Mousse Bites. 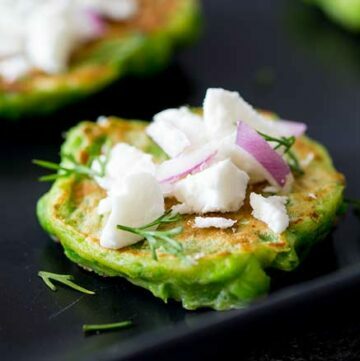 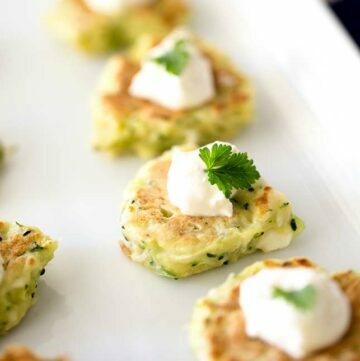 My Zucchini pancakes and Pea Bites are both delicious and can be made in advance, making them perfect New Year. 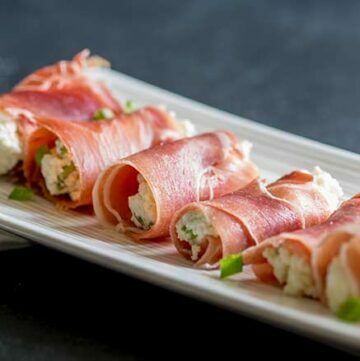 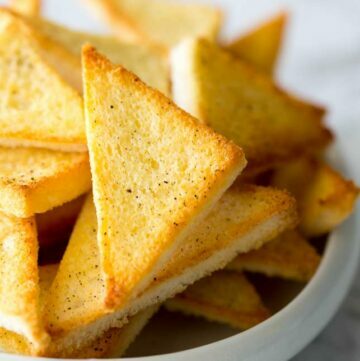 For those pressed for time learn how to dress up store bought hummus with my Posh Party Hummus, whilst these Prosciutto and Ricotta Hors d’oeuvres are so quick to prepare.